All over the world of professional sports, "doping" - specifically, the intake of banned and harmful substances with the goal of physical enhancement - has become a major issue in recent years. Of course, the issue peaked during baseball's "steroid era" - but now, with renewed issues in baseball, questions regarding recoveries and improvements in other sports, and a wider range of health concerns, the topic is back in mainstream discussion. In the NFL, in particular, many fans are puzzled as to why the steroid or PED issue hasn't ever become a bigger deal, at least publicly. Here's an interesting way to look at things: take a quick glance at Betfair, a casino online that includes its own sports book. There you'll find an NFL (listed as "American Football") gambling section, which includes backing odds on the players most likely to lead the league in rushing yards this season. Take the first 10 or 15 guys on the list (or really, all of them) and put them into a Google Image search - and try to convince yourself that they're all naturally as built as they are. The point is, these guys are absolute beasts, and we've seen enough substance abuse across the world of sports that it's becoming naive to think it's all natural. Now, this isn't to accuse NFL stars of intentionally breaking rules or cheating the system. 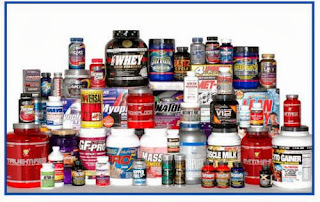 In fact, if anything, it's more of a critique of the drug and supplement industries, which are undoubtedly guilty of improper (or inadequate) labeling on various supplements. The issue was perhaps best summarized by sports nutritionist Dave Ellis in a Green Bay Packers blog article in 2012. Ellis says, "This industry is absolutely out of control with the number of potential doping products with stimulants or anabolic agents that are not labeled, because they know if you feel it, you'll come back and buy it again." Ellis goes on to explain, essentially, that drug and supplement companies are selling these improperly labeled products to athletes who may "feel it" - a boost in strength, or speed, for example - without realizing that the ingredients and bodily effects can be unhealthy. Ellis has begun studying and testing athletes' bodies to make sure that they are reacting properly to training, and to identify improper supplements. The bottom line, however, is that the general neglect toward performance enhancement in the NFL has spiraled out of control, and led to a culture in which many players care more about gaining an edge (for the sake of keeping up, really) than potential health risks. It's a reasonable assumption that at least many NFL players are avoiding deliberately breaking rules - and it's not as if a trip to the local GNC for protein enhancements, etc., is going to land anyone on a banned substance list - but thanks to sketchy drug companies, PEDs come in all shapes and sizes - and with all labels - these days. And that's a risk to player health.